Browse: Home / News / New Products, New Photos! 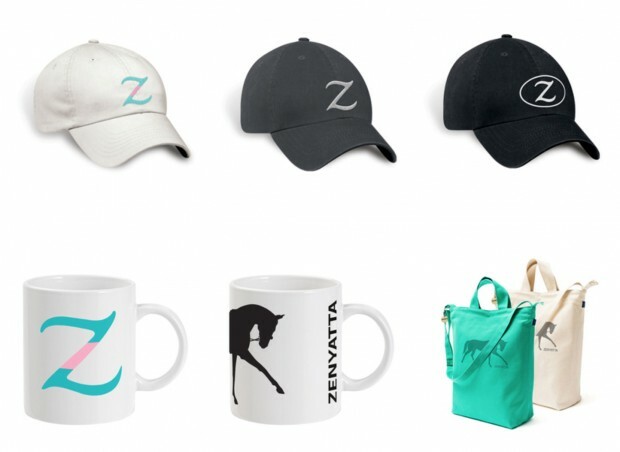 As promised, we have updated the Zenyatta Shop with new products that are available for pre-order today. Here is your chance to add the Zenyatta Track Bag to your wish list or to pick the perfect gift for the Zenyatta fan in your life. Today’s new releases are exclusive to the Zenyatta Shop and have never been available before. New items available for pre-order in the Zenyatta Shop. Zenyatta Track Bag, in two colors. Zenyatta. Photo by Alys Emson. And don’t forget that new Zenyatta Sticker is still available! The sticker is available for shipment now, but all other new items are pre-order only. Orders will begin to ship in 1-2 weeks. All items are guaranteed to arrive in time for the holidays. Today only, we are offering free shipping on all orders at the Zenyatta Shop. Enter the promo code ZENGIFT at checkout. And now for what you’ve all been eagerly anticipating—new photos from Alys! Here’s the latest batch featuring winter coats and mud all around. 13Z. Photo courtesy of Alys Emson/Lane’s End. 13Z. Photo courtesy of Alys Emson. Zenyatta. Photo courtesy of Alys Emson/Lane’s End. 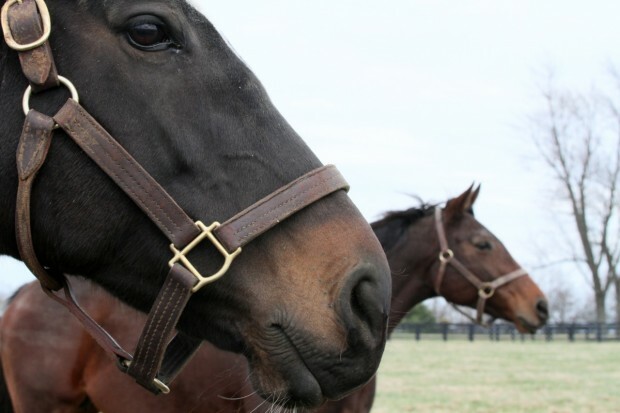 Zenyatta and Life Is Sweet. Photo courtesy of Alys Emson/Lane’s End. Wonderful new photos. Thank you, Alys and Team Z! Here is today’s Cherokee Devotional. Walk in poison ivy and a rash will appear. Walk where all of life’s laws are broken and trouble is assured. Laws are pure and simple. Break them and pay. Only the witless believe themselves above the law or too smart to get caught. Laws, written and unwritten, are supposed to be for our good. If they are not, they are eventually repealed. But God’s laws are set forever, and they serve as the foundation for every good act, every good outcome. Give people the opportunity to correct themselves, and if they don’t life itself will do the correcting. Things will be balanced, changes will be made, but it is the law of life that will win. Among the Indians there have been no written laws. Customs handed down from generation to generation have been the only laws to guide them. @Kathy, You are an early bird. Thanks for a great start to the day from you And Team Z. Team Z, dear Team Z, I so love these items and the photos are precious. Spoken like a true man of God. More indians need to be in charge..
Good eye AmandaF! Looks like that photo was accidentally flipped. We fixed it. Thank you, Alys! The kids look great in their winter coats! Now this is the way to start December! 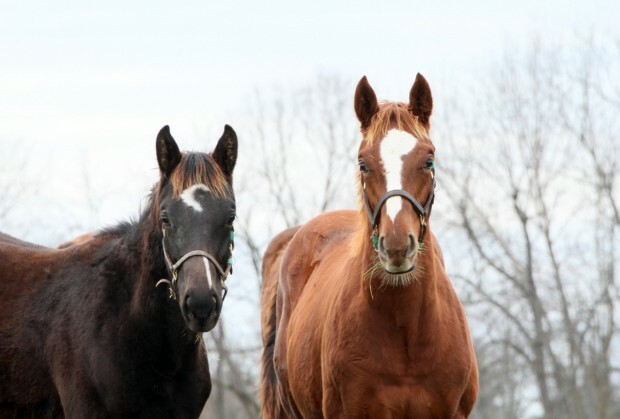 13Z, Zenyatta, and Life Is Sweet all look great. Looks like Zenny is enjoying the mud, one of my horses is just like her. You can brush out the mud turn him out and he will be covered in mud again in a matter of minutes. Thanks Alys and Team Z for the pictures. Thank you Team Z and Lane’s End for the wonderful photos of the Queen and her second born. They both look amazing and what else but absolutely perfect. Can’t wait to hit the Shop. Thank you so much, Team Z. 13 Z is getting REALLY big. Love the new photos, boy have the kids gotten big. !!! Will deff order something today!!! So nice of you to have things all ready for holiday giving !!! Happy Holidays to you all !!!!! Thanks to Alys and the team for the pictures. Little Red isn’t so little anymore. Love his blond bangs and he still has his glorious fuzzy tail. So glad he remains chestnut. He does need a bit of a shave. Those teenage boys and their facial hair! My heart is so full of joy and gratitude yet it is so hard for me to find the right words to express all of this. My comments on this site are usually just a simple thank you, thank you, thank you and those are again the best words I can come up with in spite of the deep feelings that I have. Wow. These photos and this update are just so wonderful. 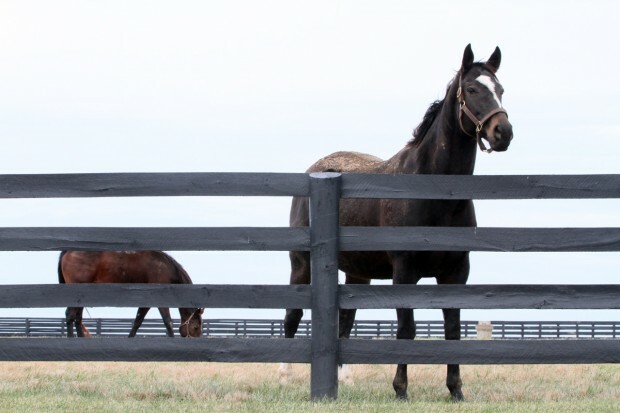 Zenyatta and Life Is Sweet look so serene and beautiful in their time of waiting for the next babies. Z13 has grown even more handsome in these last few months. 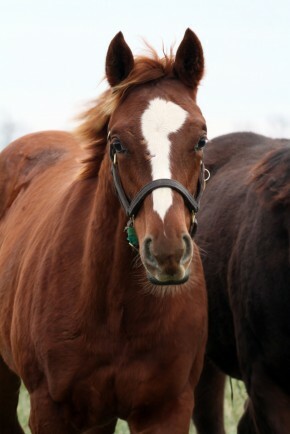 He is going to be some kind of beautiful when he gets bigger – all those fillies better watch out – lol!! The new additions to the Shop are so exciting that I’m going to quit babbling here and click over there to start on some goodies for Christmas! I think my son and maybe my son-in-law would look good in a Zenyatta hat!! How cool is it that 13Z has a “Crescent Moon Guy” (CMG) pal just like Coz did? Thank you for bringing back mugs to the shop. Love the pictures as well. Zenyatta does love her mud baths and I’m just so pleased that she and LIS have been reunited. Happy birthday Barbara Wood. Celebrate your day. Marty, so cute. Was thinking the same. He will be, CMG-2! Both look like they got caught….I didn’t do it! Sweet babes. Alys captures them at their finest moments. Yes, yes, yes – the FIRST thing I thought too Marty and Ann. Do you think the CMGs have the same mom (or dad)? I SO wish we knew the answer (hint, hint to Team Z!). That is such a great picture and as soon as Marty brought up the crescent moon, I immediately remembered Coz’s buddy with his crescent moon. How neat is that! Love the pictures and Lil Red is not so little anymore. Zenyatta is looking as beautiful as ever and love that LIS is with her, the only thing that would add icing to the cake would be to see her with Tasty Temptation again. Thanks Alys for your wonderful pictures. If we had a techno person that could post then and now side by side wouldn’t that be great. Great shot of him at the end. Always think of him during the Moon phases! Moon babies? It would be nice to know if 1 and 2 are of same blood? Ann NC. CMG and Coz were great together. I often think of CMG and wonder how he is doing. Love your new photos, Alys. 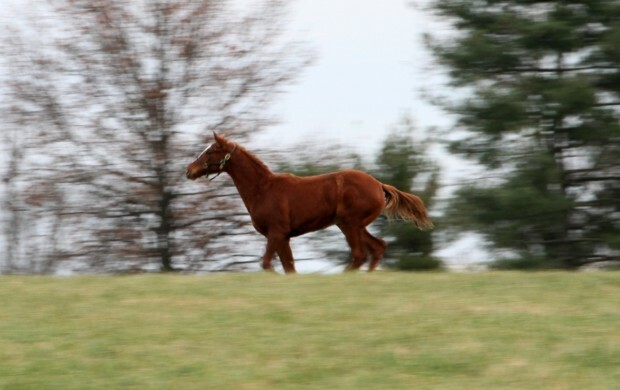 My favorite is Red running past the trees. He looks big and beautiful and in command of himself, at last. What a gorgeous colt! Well, we always knew he was, but now he’s coming into his own. Happiest of Birthdays to Barbara…. Another winning round of pictures from Team Z!!! THANK YOU!! Thank-you so much for the pictures of Zenny, and our BIG RED PRINCE, we can’t call him little ever again! What a handsome boy! It looks like he was going pretty fast, by the look of the picture; I’d love to see a video of his movement, I bet it is very fluid. Zenny certainly has great looking sons; I wonder if this one she’s carrying now, is a little girl? Thank-you again!!!! Great photos! Can’t get enough of seeing the Queen and her two sons! Glad to see that Zenyatta has been rolling in the mud. A dirty horse is a happy horse. 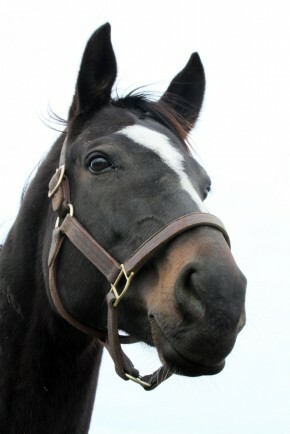 Seeing Zenyatta’s gorgeous face is a wonderful start to a new month. Love the picture with LIS. Red looks just grand. Like his Mom and big bro he has a stunning face. So handsome. Coz has changed so much in such a short time. He loved those nose kisses! I bet he’ll be getting plenty more. He is looking a lot like his Daddy but his aura is pure Zenyatta. Love the pics, as always!!! 13Z’s buddy has quite the unique markings. Who is he? He has a sweet face too! Wonderful photos! Thank you so much. Zenyatta looks great as usual. 13Z is sure growing fast! What a handsome boy. I’m so happy Z and LIS are back together. Saw a post that today is your birthday and I want to send you my wishes that you have a fantastic day. Happy Birthday! Thank you Team Z. The photos are great and the new giftshop items are awesome. Happy Wonderful birthday to our dear Barbara Wood. Have a great day sweet lady.